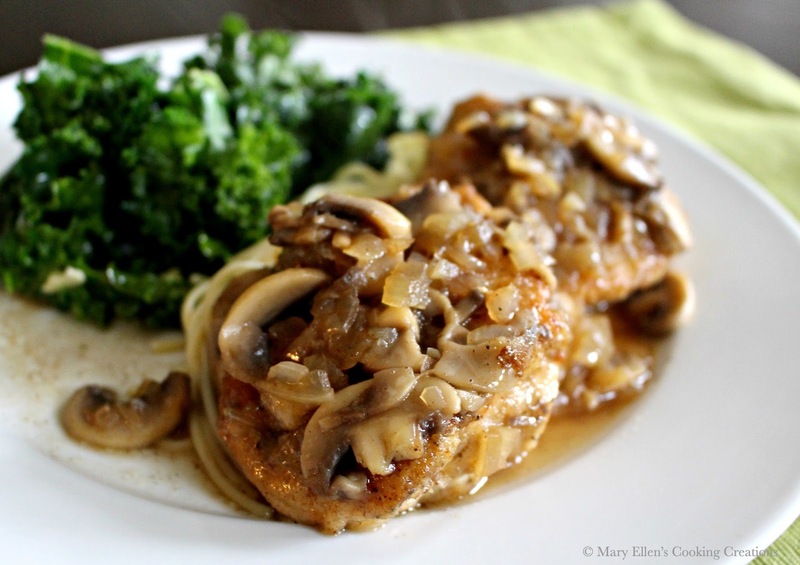 You can have rich, delicious, juicy Chicken Marsala on the table in 25 minutes! 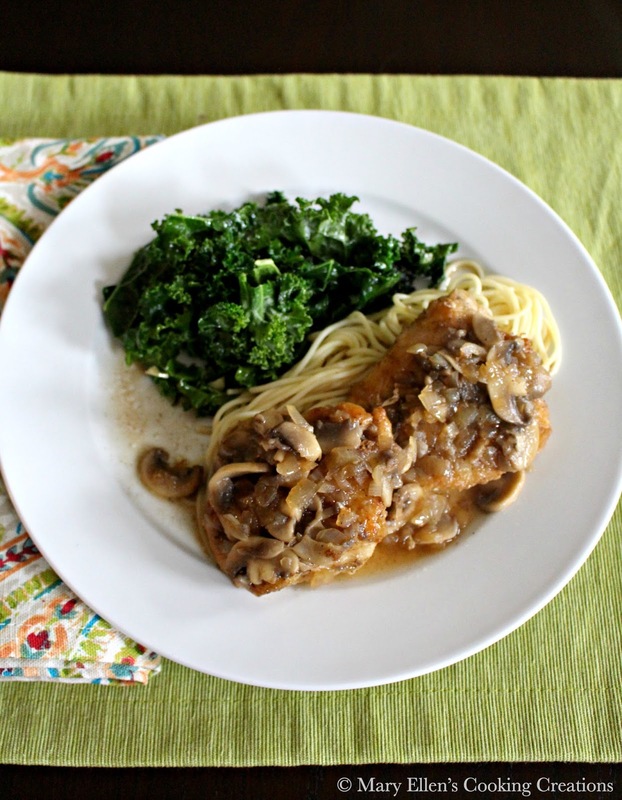 This is a great weeknight meal that will make your family think you cooked for an hour. To save even more time, dice your onions, slice your mushrooms, and trim and pound your chicken ahead of time. I love having the prep done so when I get home I can just grab my ingredients and get cooking. Some mornings I'll even put my pots/pans on the stove and get out my tongs and cooking utensils. Every little bit helps. I love the semi-sweet but earthy sauce that coats the chicken. 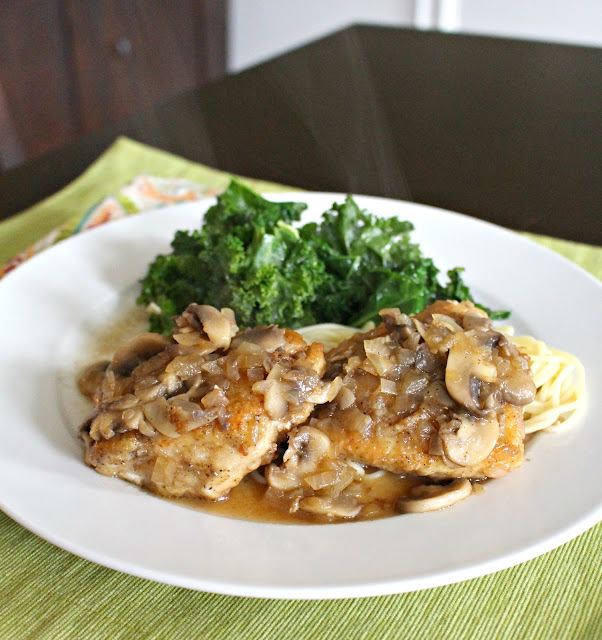 Although this is a chicken dish, I prefer to use beef broth for a richer sauce. 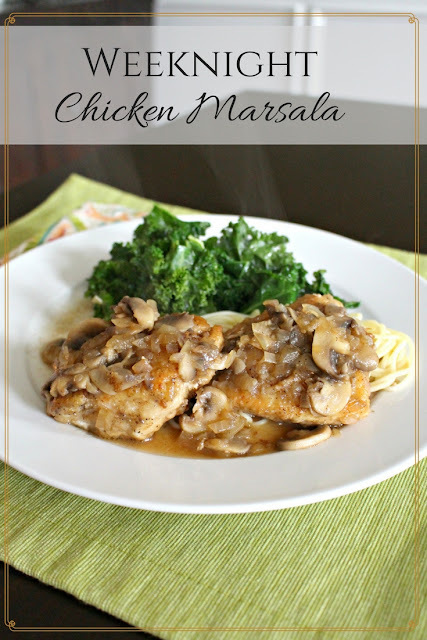 Chicken Marsala doesn't have to be something you order in restaurants or something you spend an hour making. 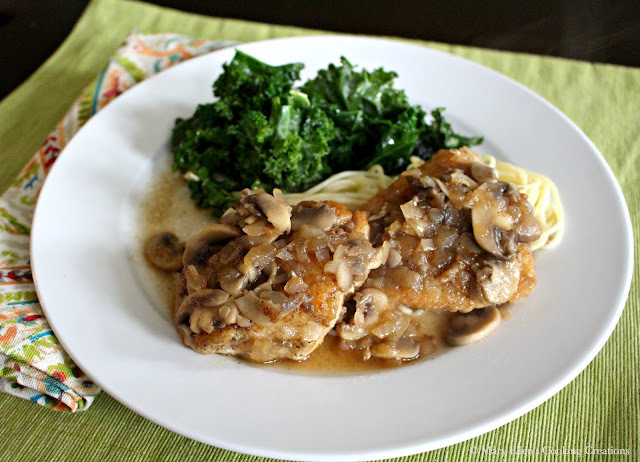 Try this weeknight Chicken Marsala the next time you need a quick and easy weeknight meal. 1/2 c all-purpose flour in a Ziploc bag. Season your chicken with salt, pepper and sage. Add the chicken to the flour bag and shake until coated. Heat 1 Tbsp butter and half of the olive oil in a large saute pan over medium-high heat. Shake the excess flour from the chicken and add it to the pan. Cook 3-4 minutes per side until golden brown. Transfer to an oven-safe dish and put in the oven until the internal temperature reaches 180 degrees (probably 7-10 minutes depending on your thickness). Add the remaining butter and oil to the pan the chicken cooked in. Add the onions and mushrooms and saute 6 minutes. Add the Marsala wine and stir; let simmer, stirring occasionally, about 3 minutes to cook off some of the alcohol and reduce the wine. Add the beef broth and stir. Taste and adjust s&p. Return the cooked chicken to the pan and let simmer 1 minutes. Serve with pasta, noodles, mashed potatoes, rice, or roasted potatoes (or whatever you prefer!). Definitely trying this. I need more 30-minute or less meals. And yours looks delicious!